In 2007, I walked out of Hot Fuzz – Edgar Wright‘s skewering of the 80s action and thriller pictures that I love so dearly – elated with a caffeinated head-buzz and a serious case of perma-smile. Despite this, I’m not afraid to admit that when I left the theater that day, there was another thought bubbling just beneath the surface: “I’m not sure if that was as good as Shaun of the Dead”. Edgar Wright’s films seem to always have that effect on me – but it’s one that never fails to wash away upon repeat viewings. Like a fine wine, his films only get better the more sips you take. His latest offering – The World’s End – is no exception; part of me thinks it’s a little messy and unkempt, yet another part is completely and wholly satisfied with the film. I again left the theater elated with a similar feeling to the one I had back in 2007. 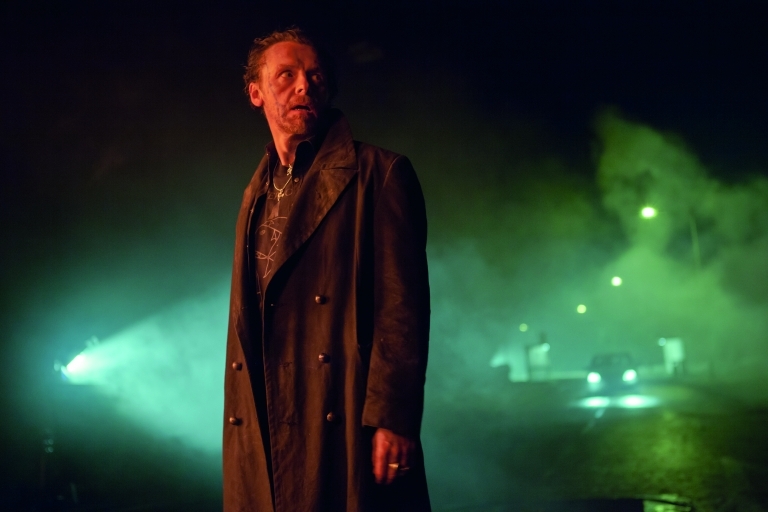 This time around, Simon Pegg plays Gary Knight, an alcoholic in recovery who – after a moment of realization in therapy – decides to round up his high school friends (Eddie Marsan, Martin Freeman, Paddy Considine and of course Nick Frost) to re-create The Golden Mile – an extended pub-crawl consisting of 12 bars in their hometown Newton Haven. The group attempted and failed to finish The Golden Mile in High School, so Gary sees this as a homecoming of sorts for his crew – though he ultimately has his own selfish motivations for the trip. Oh yeah, and the town may or may not have been taken over by alien robots – so there’s that too. To me, Edgar Wright continues to accomplish something that Tarantino seems to consistently fail at pulling off; the soundtrack, the homages, the nerdy inside jokes – they’re all here, but there’s a beating heart. Maybe it’s an odd comparison – some might argue that Wright couldn’t exist if Tarantino hadn’t paved the way, and they’re not wrong – but Wright is projecting a part of himself on-screen in a way that us film nerds wish we could do as well. But as opposed to Tarantino, he’s doing it with a clearly defined point. Edgar isn’t trying to gain our trust, respect and admiration by pulling out these deep references – they serve a function within the construct of his films, and ultimately enrich the plot and situations his characters find themselves in. I’m struggling to think of the last time a Tarantino picture caused me to actually feel something more than “Whoa, cool!”, “That was awesome!” and “Oh yeah, I remember that sound cue!”, etc – and I say that as someone who loves many of his films as much as any one else. Wright has transcended this issue in every one of his films, but I digress. Placed within Edgar Wright’s trilogy and judged upon initial viewing, some might call it the weakest of the three. I’m willing to give it the benefit of the doubt, some more time to sit, and maybe a few more views to take it all in before I really decide where it would rank within the Three Flavours Cornetto Trilogy. After the screening in Toronto, Edgar Wright spoke of the Dinner Table Scene being something all directors dread shooting – “They’re a nightmare, there are eye-lines everywhere – on top of having to make people sitting around a table exciting” he said. Well, The World’s End might actually be Wright’s Dinner Table Movie – with so many characters, intentions and motivations, it’s easy to get a little bit lost. I’ve already come to one or two minor realizations about the plot’s conclusion in the days since my viewing – the final “I’ll have a glass of water”, and the pub logos is all I’ll say. That speaks volumes about Wright’s talent, if you ask me – it’s all in there, we just have to sort it out ourselves. That’s also something you seldom see in big pictures these days, and to me that’s a worthy cause for celebration. I understand that I haven’t even begun to scratch the surface of The World’s End with this review, because I feel that is best left until after the movie gets a full release – when we can all pick the film apart and discuss it in full. I will say this, though: In a summer full of major disappointments, The World’s End comes like a huge breath of fresh air. Finally we have a big action-comedy picture that I can throw myself behind completely. It’s an absolute blast – packed with laughs, tightly choreographed and exhilarating fight scenes, plus an enjoyable denouement that will please fans of the Evil Dead sequels. 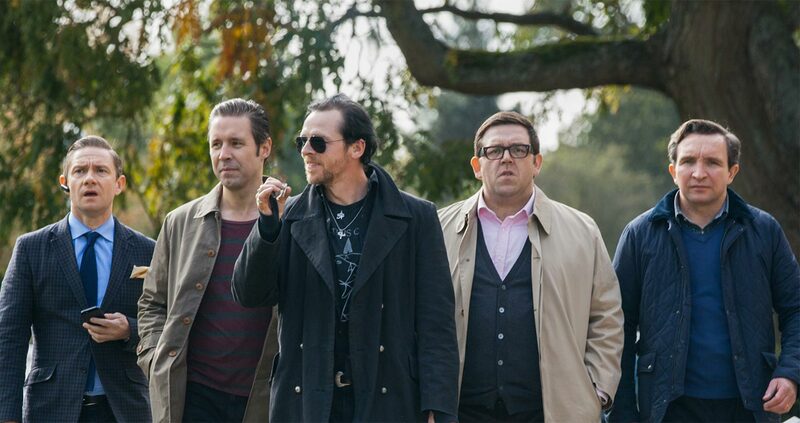 As it currently stands, The World’s End is certainly one of the best films I’ve seen all year. I have a sneaking suspicion it’s only going to get better with age. Now, let’s grab a pint then.